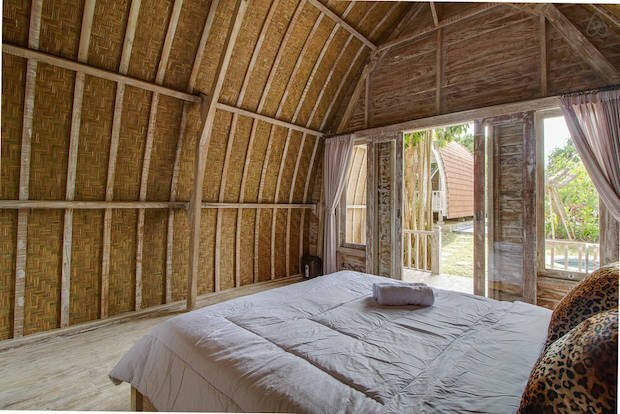 On our trip to Bali, Indonesia, we could not help but notice these unique accommodations that can be found all over the tropical islands. 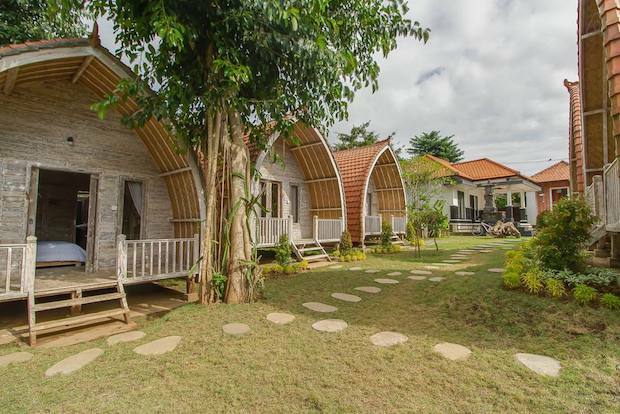 Upon research, we find that these arched cabin style homes are called lumbungs. 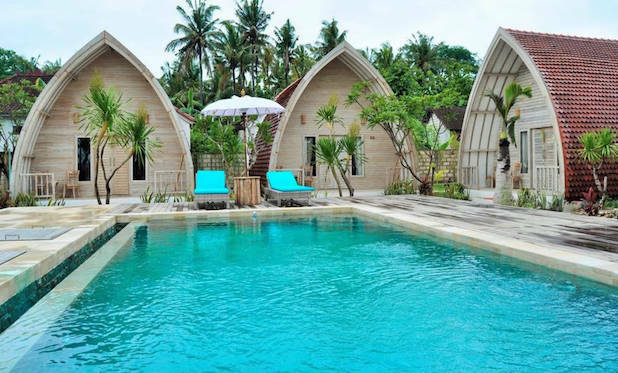 Traditionally, they are meant to be rice barns and Balinese farmers have been using them to store rice after a harvest. 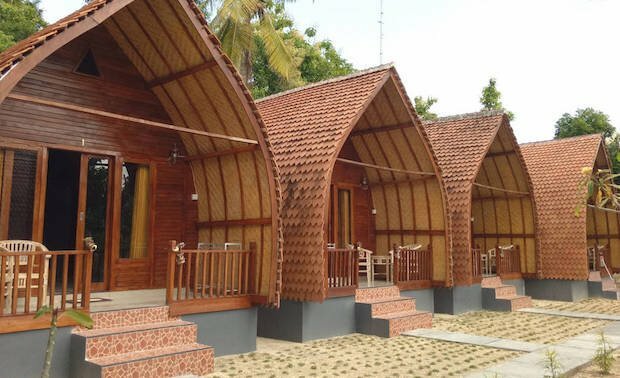 A typical lumbung can be a wooden bungalow or a two-level space that is made of coconut, camphor, bengkirai, or teak wood. The lower level of two-storey lumbungs is where farmers would traditionally store bale or receive guests. The upper level is where one would rest after a long day at the fields. Roofs can be thatched, wooden, terracotta, or iron. These days, the locals have been converting these rice barns into villas or homestays. 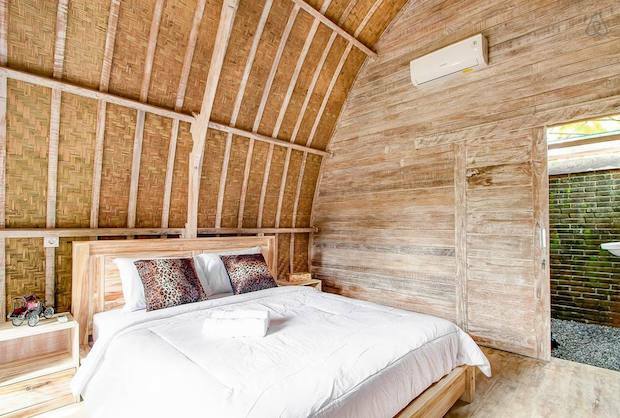 These arched cabins may have come from humble beginnings, but the remodels look elegant and fantastic! 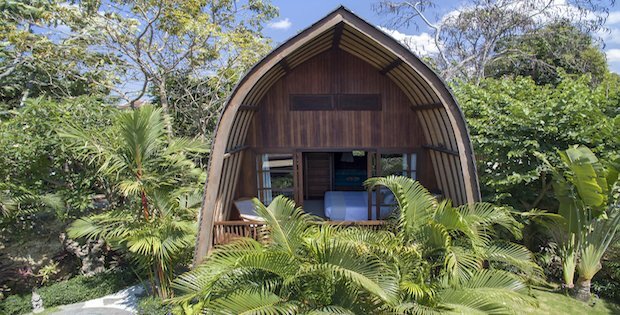 Here’s a collection of our favorite tropical-style arched cabins!